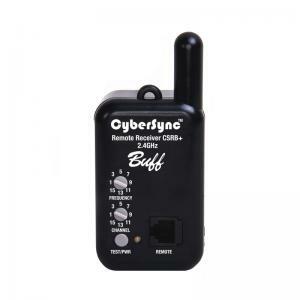 The CyberSync™ Remote System is a fully integrated 2.4 GHz radio remote system with multiple capabilities from simple remote firing of flash units to complete control, metering and display of complex 16-light studio systems. 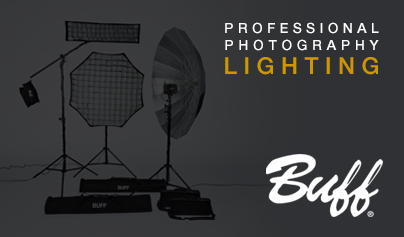 Wirelessly fire your flash units, without all the technical fuss! The ‘Basic Wireless Triggering System’ requires the following: (1) CyberSync Trigger Transmitter 2 (CST2) for your camera and a minimum of (1) CyberSync™ receiver or (1) CyberSync™ transceiver for at least (1) FLASH UNIT in your setup. *If you are using a standard AlienBees™ or a White Lightning™ flash unit, you will need either the AC or Battery powered CyberSync™ receiver (CSR or CSRB). 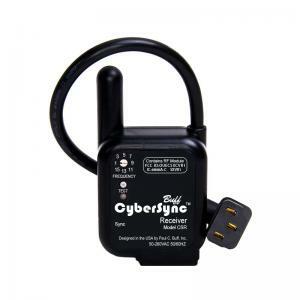 **If you are using a DigiBee or an Einstein™ flash unit, you will need the CyberSync™ transceiver (CSXCV). A simplified solution for flash and modeling light control of up to 4 Paul C. Buff, Inc. flash units. The ‘Intermediate Wireless Triggering and Control Setup,’ requires the following: (1) CyberSense and (1) receiver or (1) transceiver for EACH FLASH UNIT in your setup. *If you are using a standard AlienBees™ or White Lightning™ flash unit, you will need either the AC or battery powered CyberSync™ Plus model receivers (CSR+ or CSRB+). 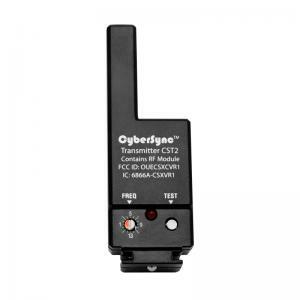 **If you are using DigiBees or the Einstein™ flash unit, you will need the CyberSync™ transceiver (CSXCV). 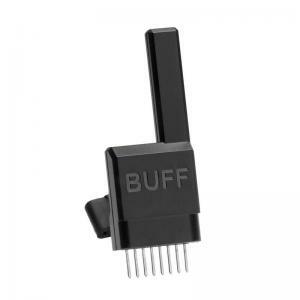 The CST2, or discontinued CST, is NOT REQUIRED but HIGHLY RECOMMENDED. Without the CST2 you will need to run a sync cord from the CyberSense to your camera. The CyberSync™ Trigger Transmitter mounts onto your camera's hot shoe to provide wireless firing. Provides a simple and reliable wireless triggering system for AlienBees™ and White Lightning™ flash units. Battery Powered Receiver compatible with the AlienBees™ and White Lightning™ flash units when utilizing the CyberSync™ Trigger Transmitter 2. 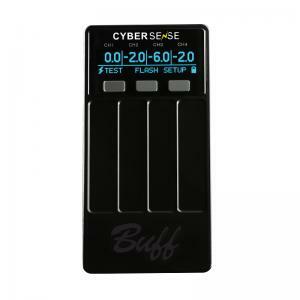 Forms an all-digital interface between the DigiBee or Einstein™ flash unit and the CyberSync™ Trigger Transmitter 2 (CST2) and/or the Cyber Commander™. Allows for wireless triggering of flash units and much more! Simple 3-button slider remote for wireless control of up to four flash units! 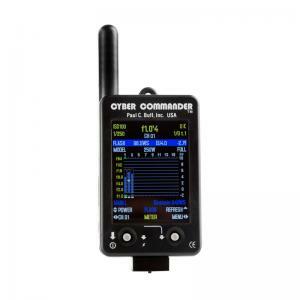 AC powered wireless triggering system for AlienBees™ and White Lightning™ flash units when using the Cyber Commander™. Battery powered wireless triggering system for AlienBees™ and White Lightning™ flash units when using the Cyber Commander™. *The CyberSync™ Trigger Transmitter 2 (CST2) is optional for this setup. Some photographers prefer to keep it on the camera’s hot shoe to fire the lights while hand-holding the Cyber Commander™. The CST2 on the camera’s hot shoe eliminates the need to take the Cyber Commander™ on and off the camera when metering, etc.